OFF-SEASON BAYSIDE VACATION RENTAL close to the beach. Turnkey furnished 2 bed/2 bath unit with king bed in master bedroom and twins in guest. Additional couch and TV viewing area in guest bedroom. This 1st level unit also includes in-unit washer/dryer, flat screen TV, Internet access, stereo system and fully outfitted kitchen with all appliances. Comfortably furnished with tile floors throughout. Lovely water views overlooking Bishop's Harbour and short walk to deeded beach access across Gulf of Mexico Drive. Whitney Beach is one of the most pristine beaches on Longboat Key. This lovely BEACH TO BAY condo community has two heated pools, a private beach (conservatory) with beach side Tiki cabanas, beach chairs, outdoor shower, tennis courts and BBQ, and on the Bay side, a kayak/canoe launch, boat docks and fishing pier on tranquil Bishop's Bayou. 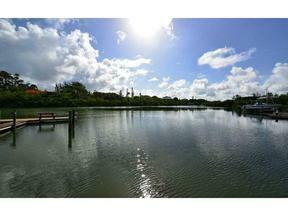 Close to Whitney Beach Plaza and Mar Vista Restaurant on Sarasota Bay. Weekly or monthly rentals available.